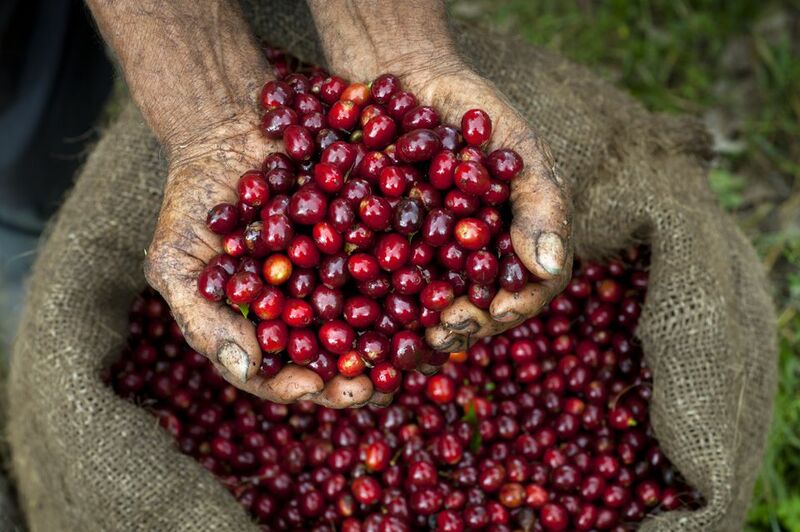 How Is Coffee Grown and Produced? What exactly is the magical plant that is coffee? How does it come up from the ground and get to your coffee cup? Well, sit back and let us discuss this beloved plant and the berries it produces. Coffee comes from one of two plants in the genus Coffea, and these are Coffea arabica and Coffea robusta (or Coffea canephora, depending on which botanist you ask). Of the two, it is arabica that is the most appreciated for its deeper flavor and richer qualities, though some regions such as Vietnam and parts of Africa prefer the bitter, earthy flavors in robusta. While arabica makes up 70% of the world’s coffee supply, some cultures are beginning to find a new appreciation for robusta and are blending the two species of beans for unique flavors. Coffee plants only grow in tropical regions in regions between the tropics of Cancer and Capricorn in a region known by the coffee elite as the bean belt. The coffee plants are evergreen shrubs that can grow up to 15-20 feet tall. Their wide, glossy leaves and simply looking, white flowers are similar to that of the flowers on most citrus plants in appearance. The flowers eventually give way to the beans – often called coffee cherries – that begin green, then ripen to yellow, orange, and then red before drying out. Before coffee ends up in your cup, it has to go through numerous processing steps. First, the green beans are picked by hand. Since they grow in such small clusters and the plants are so big and bushy, and often planted in tropical rainforests, mechanical harvesting is rarely an option and often harms the coffee bean in the process. The beans are then dried out before milling. The coffee then goes through a wet process or dry process. In the wet process, lots of water is used to separate the good beans from the bad ones and remove the mucilage that surrounds the bean. However, this method is often seen as ecologically unsound as the wastewater is considered a pollutant. In the dry process, the coffee beans are dried on large cement slabs out in the sun. The dried beans are then milled and hulled. The dry method can bring out some of the richer flavors in the beans but is more persnickety as the beans can turn brittle if too dry and mold if not dried enough. After cleaning, the beans are milled to remove the rest of their fruit from the bean. The beans are then sorted, graded based on color and size, and shipped around the world. At this point, the coffee beans are roasted in order to bring out their flavors. The amount of roasting greatly affects the flavor by caramelizing the various tannins, sugars, and proteins. What Do I When I've Added Too Much Baking Powder or Baking Soda?